Product #60670 | SKU WLC-T03-BR-15 | 0.0 (no ratings yet) Thanks for your rating! 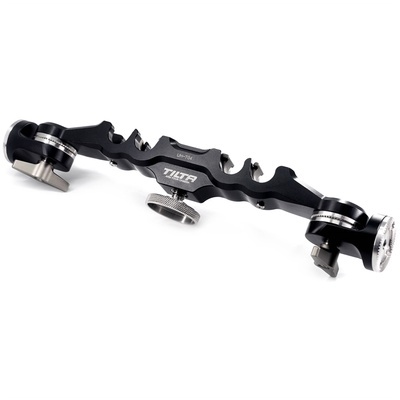 This Tilta Quick Release Handgrip Bridge allows you to quickly connect your hand grips to your camera setup’s rod system to allow you to be ready for handheld operation in seconds. Simply fit the bridge onto the rods and use the hand-tightening screw to latch on.